Drs. Blecha and Jandali will work closely with your restorative dentist to solve these problems. Many options are available, and they are tailored to your specific requirements. In some cases we can place immediate temporary teeth. In other cases, temporary removable teeth or a temporary bridge can be made. If all of your teeth are missing, we can usually modify your present complete denture or make you a new temporary denture. Sometimes we can attach a temporary denture to the implants on the same day the implants are placed. Depending on your particular situation, some implants can be placed and “ gently loaded” immediately. What is most important is that the temporary teeth do not disrupt the implant healing so that we get excellent bone fusion to the implants. Long-term implant success is closely correlated with good initial implant healing. 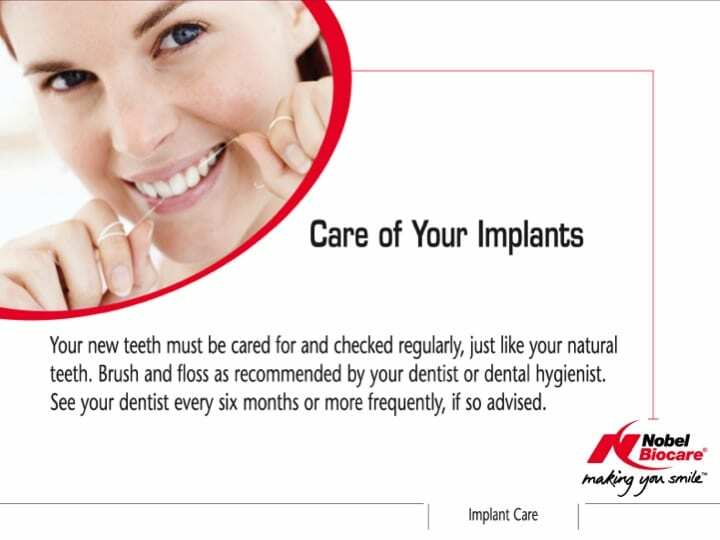 Dental implants are very predictable procedures if one takes the time to properly diagnose and plan for the treatment. However complications can occur with any surgery. Drs. Blecha and Jandali will inform you of potential problems in your case. What typical problems could exist? Pain – Implants are a finesse treatment that does not usually create much pain but each case and patient are different. Swelling/bruising – Can occur to a variable extent but are usually minimal unless a bone graft is needed. Lack of bone fusion to the implant (osseointegration) – This condition is not common if the patient has good hygiene, does not eat on the area, and has normal bone healing ability. Sensory nerve disturbance (numbness) – Localized numbness can occur but is dependent on the area and procedures that are needed. Drs. Blecha and Jandali will inform you if this would apply in your case. Most of the implant that Drs. Blecha and Jandali has placed over the past twenty five years are still functional today. You may have to replace the crown on the implant if it becomes damaged or worn, but typically the foundation (the implant) remains. When Are The Replacement Teeth Attached To The Implant(s)? Your restorative dentist creates the final teeth once Drs. Blecha and Jandali has evaluated the implants to check that proper implant healing has occurred. Drs. Blecha and Jandali will provide an estimate of the healing period during the initial implant examination. The actual time of healing is typically decided once the implants have been placed. Drs. Blecha and Jandali will inform you of the healing time once he has completed your implant placement. Drs. Blecha and Jandali will then evaluate the implant healing after the healing period by a process call radio frequency analysis. A small tuning fork is placed in the implant and a device bounces a sound wave off of the tuning fork, which then reflects the “stiffness” of the implant. If the “stiffness” reveals that sufficient healing occurs, Drs. Blecha and Jandali will then clear you to see your restorative dentist to create the final implant teeth. The treatment to create the final teeth is completed by your restorative dentist. Most of the work involves actually making the new teeth before they are placed. Your appointments are considered more comfortable and more pleasant than previous methods of tooth replacement. Frequently, this process can be performed without local anesthesia. Your restorative treatment begins with specialized impressions that allow them to produce a replica of your mouth and implant positions. Your dentist will also make “bite” records so that we see the relationship of your upper and lower jaws. With this information, your dentist will make the abutments (support posts) that attach your replacement teeth to your implants. Various types of abutments exist. Other times, custom abutments must be made of gold, titanium, or a tooth-colored ceramic material. As you can imagine, these custom made abutments add to the cost and treatment time involved. Which abutment to use is a decision that often cannot be made until after healing is complete and impressions have been made. How Do I Take Care Of My Final Implant Teeth? 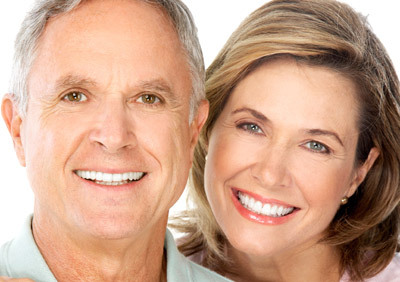 Natural teeth and dental implants both share the need for good oral hygiene about them. Your restorative dentist will teach proper brushing techniques to you. Drs. Blecha and Jandali will ask you to return to see him once you get your final teeth to check how everything turned out and also to review how to keep your new implants and teeth healthy for long term success. Each implant patient should understand that they need to see their restorative dentist as often as your dentist feels is necessary to professionally clean about the implants and check for any changes in the health of the soft tissues and even bite (occlusal) changes.